The first time anyone played a card game where you had to count up to twenty one in order to win was in France. During the 18th century King Louis XV and his mistress Madame du Barry came to love this game. It was played all over the French court and was subsequently brought over to the United States with the wave of aristocratic French refugees that flooded America's shore in the wake of the French Revolution. The rules of Vingt-Un may seem familiar to a regular Blackjack player. You continue to draw cards until you reach or exceed twenty one points. If you exceed twenty one then you automatically bust and you are out. If nobody busts, the person closest to twenty one wins the hand. Aces can count as either 1 or 11, depending on your hand. Unlike Blackjack, however, everyone can be the dealer; there is no bank. The payout rules different slightly as well and make for a more player friendly game. The first place that Vingt-Un surfaced in America was in New Orleans. This was a French city during the early 19th century. Even when it became an American city gambling was still legalized in six separate houses in 1823. Then the game spread westward with the pioneers. 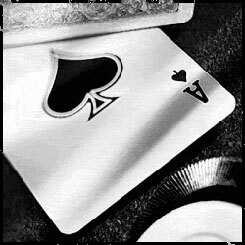 However there were no blackjack casinos yet, but you always can play on blackjackdoc.com. It became very popular in frontier towns in states such as Idaho, Montana, Arizona, and South Dakota. Vingt-Un, by now known by its English name Twenty One, even had a famous champion during its time in the frontier. Her name was Eleanor Dumont and she was called Madam Moustache. She was a famous player, dealer, and gambling house owner. One the 20th century rolled around the game Twenty One became very similar to modern Blackjack. Banked games started up in about 1910. The rules changed a little bit too. For instance, if you reached a natural twenty one with a black Jack and an Ace of spades you would get a 10 to 1 payout. Because of this, the game changed its name once again. By the 1930s and 40s Blackjack was a staple in most casinos across the country along with Roulette and Craps. In the 1960s, a book was published that mathematically proved that Blackjack could be beaten in the long run. As you know, now we have lots of blackjack books to learn the game. Since then it has been one of the most popular gambling games in the United States.